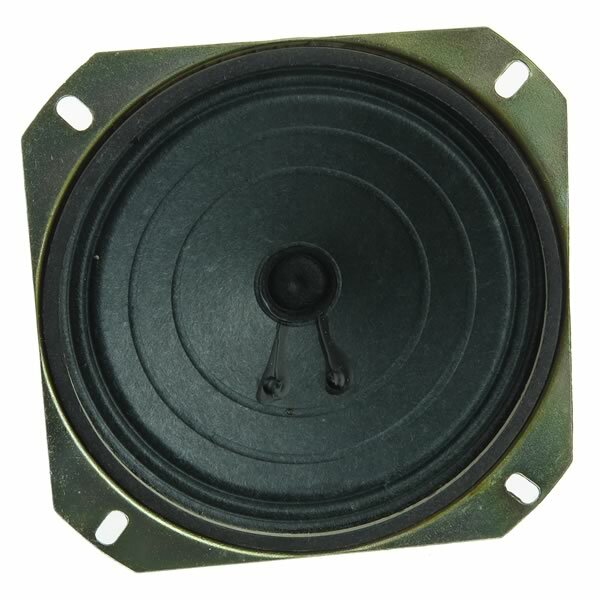 Nice quality 4" diameter speaker is mounted in a 4" square metal frame with mounting holes. Speaker is rated 16Ω and can handle 2W. Thickness is about 1.3". Has 2 solder eyelets for connection.